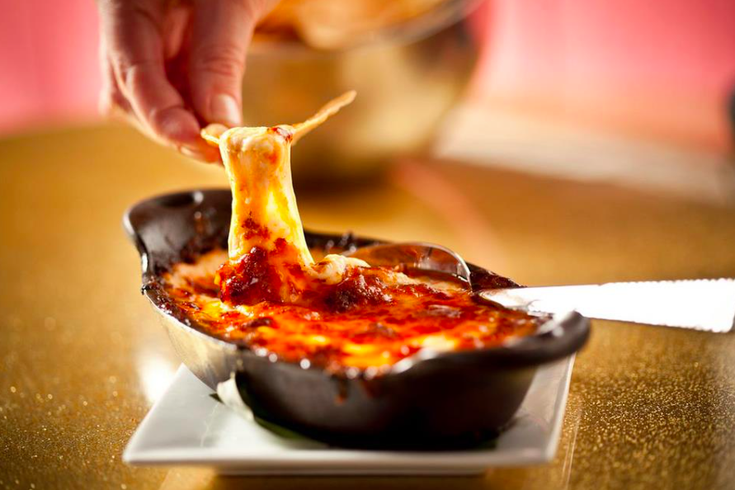 Chips and dip at Jose Garces' Distrito in West Philadelphia. With so much critical attention reserved for fine dining establishments, sometimes America's local haunts don't get the full attention they deserve. To tip their hats to smaller restaurants around the country, The Daily Meal compiled a list of the 101 best casual restaurants in the United States. "From hot dog shacks to taco joints, from neighborhood hangouts to legendary barbecue spots, these are amazing restaurants where price is no barrier to entry and you'll feel right at home in jeans," the site's editors wrote. In what we can all agree is a big country, four picks for one city is pretty admirable. That's what Philadelphia can claim for its casual restaurants, even if the city didn't crack the top 25. Coming in at #73 is Reading Terminal Market's DiNic's Roast Pork, a family-owned business with deep local roots that also earned Travel Channel's "Best Sandwich in America" title earlier this year. DiNic’s serves a lineup of classic Italian sandwiches such as slow-roasted brisket of beef and Italian-style pulled pork. Its best-known sandwich, though, is DiNic’s roast pork sandwich, which is thin-sliced and topped with broccoli rabe and aged provolone. At #61, Jose Garces' Distrito in West Philadelphia earned recognition for its true-to-form Mexican food and vibrant atmosphere. Food Network’s Chicago-born Ecuadorian Iron Chef Jose Garces (who runs some of Philly’s most acclaimed restaurants, like Amada, Village Whiskey, and Volver) serves nachos, ceviches, huaraches, tamales, enchiladas, and moles here that Philadelphians recognize as some of the most satisfying versions on the East Coast. The somewhat gaudy, pink, loud, huge restaurant is dedicated to the cuisine of Mexico City, which is a rich source of inspiration. The last two to make the cut are pretty predictable—but the order of their appearance stands as an outsider's judgment of the longstanding cheesesteak competition. Pat's King of Steaks (#42) edged out Geno's (#49) in the estimation of The Daily Meal. They both have a fiercely loyal clientele, each of which will tell you that their favorite is superior. Pat’s claims to have invented the cheesesteak as we know it: As the story goes, in May 1933 brothers Pat and Harry Olivieri, who owned a hot dog stand on the corner, thinly sliced a steak and fried it with onions, and a legend was born. Pat’s and Geno’s serve a similar product (with both using thinly sliced ribeye steak), but there’s one main difference: Pat’s chops up its meat while it’s on the grill, and Geno’s keeps its slices whole. Which one you order comes down to personal preference, but the only way to find out is to try them both. At least they didn't rank Pittsburgh's The Groove Cheesesteak Co., unlike some other rigged contest. Here's The Daily Meal's ten best casual restaurants in the United States. Check out the full list here.